Battle five cunning lords in your quest to lay sole claim to the British crown. 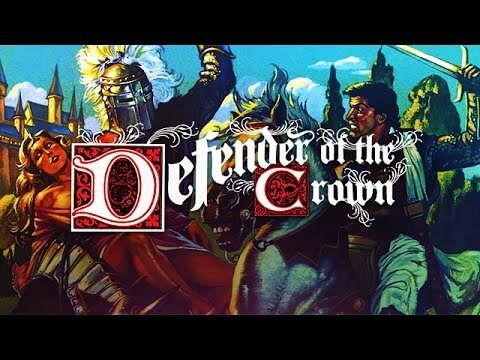 "Defender of the Crown is a great game! The attention to detail combined with various skill implements allows for exciting game play." Battle five cunning lords for control of medieval England. Build and lead your armies of knights and archers on the battlefield, and conduct daring raids to rescue princesses and pillage treasuries. Compete in jousting and archery tournaments, and lay siege to your foes with catapults and Greek Fire. Gain fame as you outsmart and outmuscle your foes to lay sole claim to the British crown.